If you live in or around Austin, Texas, and you suffered an injury or lost a loved one as the result of someone else's negligent, careless or unlawful actions, you deserve an attorney on your side with the skills and resources necessary to help you obtain the justice you seek. Highly rated and award-winning trial attorney Adam Loewy is the founder and owner of the Loewy Law Firm in Austin. Since establishing his law firm in 2005, he has achieved unprecedented success advocating on behalf of innocent accident victims and their families who are struggling after a preventable accident or some other tragedy. Handling all types of personal injury and wrongful death claims, Mr. Loewy can help you recover the maximum amount of damages for the injuries and losses you incurred as well as for your pain and suffering. To date, his law firm has secured millions of dollars in settlements and awards, including over $15 million in recoveries just in 2017 alone. 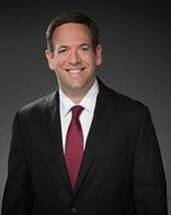 Fully committed to providing the quality counsel and personalized support his clients deserve, Mr. Loewy has earned numerous awards and honors throughout his career, including recognition from numerous peer review sources as one of the region's top trial lawyers. He also holds the highest client ratings on AVVO. This means you can expect to receive unmatched advocacy and support from a local attorney you can trust with your most sensitive legal issues. Regarded as a leader in his community as well as his profession, Mr. Loewy supports his local area through his involvement with various civic and charitable organizations. To find out more about how Mr. Loewy and the Loewy Law Firm can best serve you and your family in your time of need, you can contact their law office or visit their website to schedule a free initial consultation.